Pixelache | Open P2P Design Lectures & Workshop Starts! Pixelversity : Open P2P Design: How to co-design an Open Design community : Open P2P Design Lectures & Workshop Starts! Welcome to join the process designed by Massimo Menichinelli (Italy), founder of openp2pdesign.org, in Pixelache office, Kaapelitehdas/Cable Factory (Door C, 4th floor). There are public lectures that all are welcome to attend: The upcoming Friday lecture at 18.00 on 23.9. (last Friday's lecture on 16.9 now has shared slides). Welcome to come for refreshment and chat already at 17.30. We have/will stream these Friday lectures. In addition, we have a surprise guest lecture by Michel Bauwens of Foundation for Peer-to-Peer Alternatives on Saturday evening 24th at 18.30, closing the 2-weekend process. 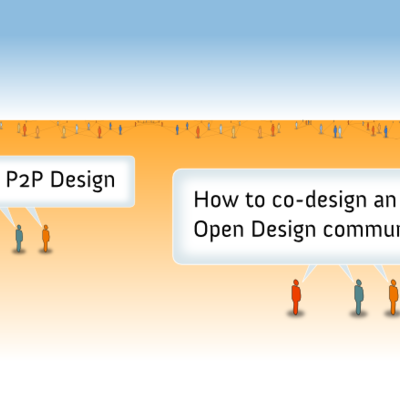 Themed to assist the question: "How to Co-design an open design community? ", the lectures and the workshop will cover these issues: What is Open Design and how is it changing design? 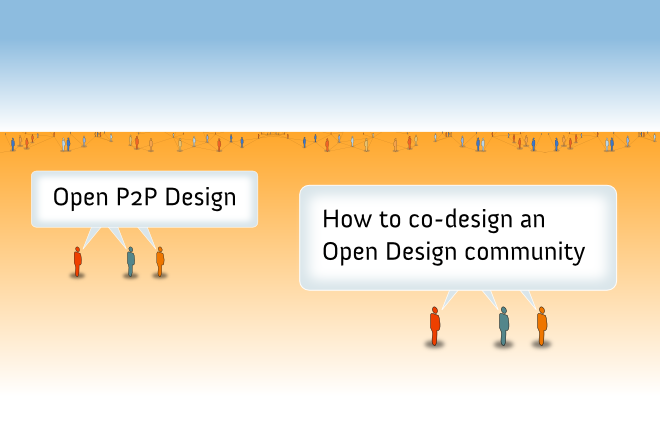 ; How can we organize an Open Design community? ; Which are the technologies (software and manufacturing) that enable Open Design? ; Which are the markets and the business models for Open Design? While Open Source software has already developed a viable business model and design process, other Open projects like Open Design are still trying to define their best practices. In order to develop new kind of projects we need new design tools and processes; we can also use the same design tools and processes that we have now in order to build the new one (this is what designers call metadesign). What is important now, then, is to develop such new processes and tools collaborating together, adopting an Open Source strategy and P2P social dynamics.